As the winter months draw in and the temperature starts to drop, keeping one’s home warm is vital. Yet, with the price of gas and electricity rising quicker than a Saturn V rocket, and gas, oil and electricity taking on an average 4.4% of a typical Brit’s pay packet (and for those Brit’s with the lowest 10% of incomes that rockets to an eye watering 9.7%), whether you are a tenant or homeowner, keeping your energy costs as low as possible is vital for the household budget and the environment as a whole. For the last 10 years, every private rental property must have an Energy-Performance-Certificate (EPC) rating. The property is given an energy rating, very similar to those on washing machines and fridges with the rainbow coloured graph, ranked between A to G (A being the most efficient and G being the worst). New legislation came in to force during spring 2018 for English and Welsh private landlords which made it illegal to let a property that does not meet a certain energy rating. Since April 1st 2018, any new tenant moving into a private rented property, or an existing tenant renewing their tenancy, must have property with an energy performance rating of E or above on the property’s EPC and the new law will apply for all prevailing tenancies in the spring of 2020. If a landlord lets a property in the ‘F’ and ‘G’ ratings (i.e. those properties with the worst energy ratings) Trading Standards could fine the landlord up to £4,000. 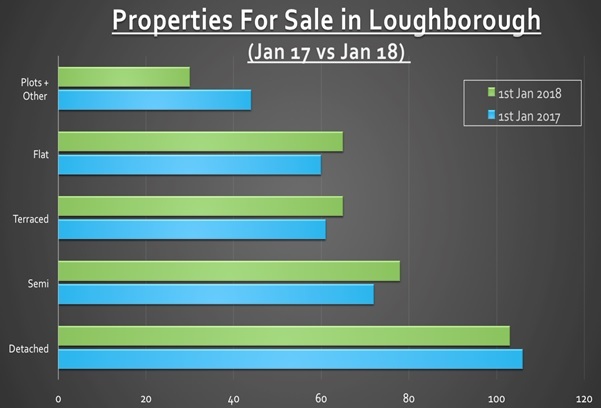 Personally, I have grave apprehensions that some Loughborough landlords may still be totally unaware that their Loughborough rental properties could fall below these new legal minimum requirements for energy efficiency benchmarks. 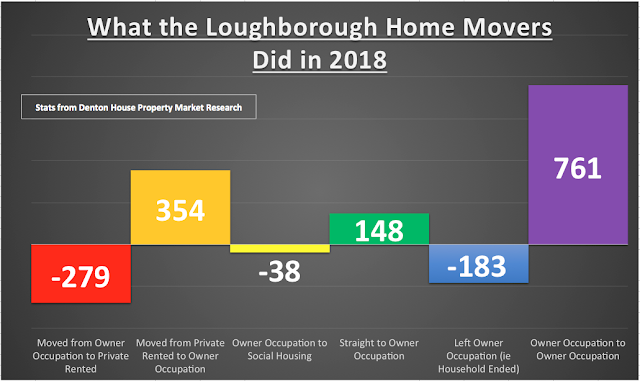 Whilst some households may require substantial works to get their Loughborough property from an F/G rating to an E rating or above, my experience is most properties may only need some minor work to lift them from being illegal to legal. So, how many properties are there in the area that are F and G rated? Well quite a few in fact. 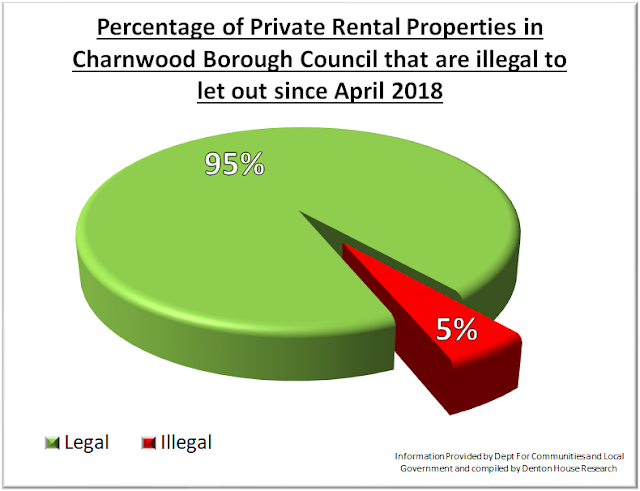 Looking at the whole of the Charnwood Borough Council area, where there are 9396 privately rented properties, there are 428 rental properties in the F banding and 72 rental properties in the G banding. That means just under one in 19 rental properties in the Loughborough and surrounding area has an Energy Performance Certificate (EPC) rating of F or G.
Talking with the Energy Assessors that carry out our EPC’s, they tell me most of a building’s heat is lost through draughty windows or doors and poor insulation in the roof and walls. So why not look at your EPC and see what the assessor suggested to improve the efficiency of your property? I can find the EPC of every rental property in Loughborough, so irrespective of whether you are a client of mine or not, don’t hesitate to contact me via email, or phone, if you need some guidance on finding out the EPC rating or need a trustworthy contractor that can help you out. 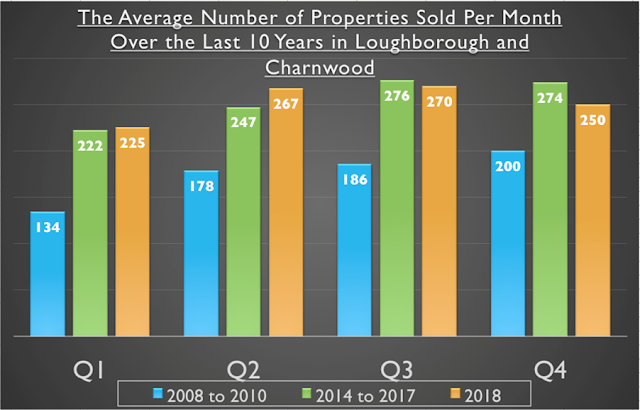 If you are interested in talking about this or potential investments, or would like a second opinion on any properties you have seen, please feel free to call me on 01509 260777 or email me.